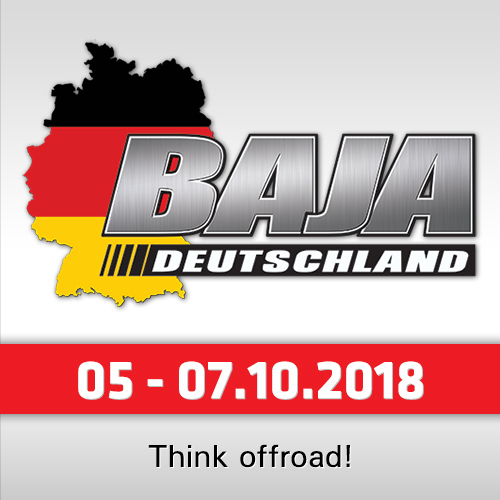 The second round of the FIA Cross Country World Cup and first round of the FIM Baja World Cup will be held next weekend with the "Dubai International Baja" in the UAE - and 88 competitors overall from 19 countries and 58 FIA/FIM competitors (25 cars, 20 bikes, 7 quads and 6 SSV) signed up for the event. In the cars the former World Champion and actual FIA leader Nasser Al Attiyah is suprisingly missing. 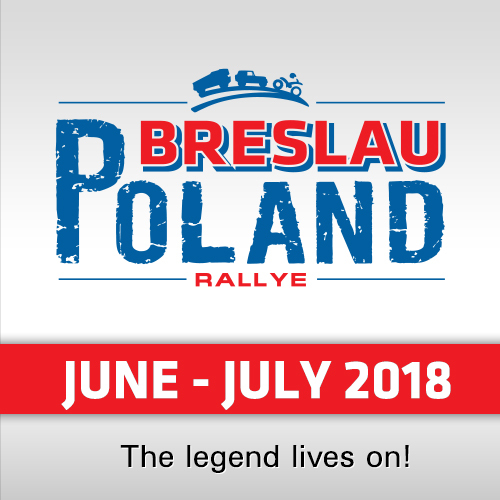 But we will see a return of Czech Martin Prokop (Ford F150 Raptor Proto), Russian Vladimir Vasilyev (X-raid Mini), Polish Jakub "Kuba" Przygonski (X-raid Mini), T2 World Champion Yasir Seaidan from Saudi Arabia (again with Overdrive Toyota T1), T2 World Champion fighter 2018 Hussein Abudulla Adel from Qatar and Fernando Alvarez from Spain (Volkswagen Amarok) since the "Baja Russia Northern Forest", first round of the World Cup in February. 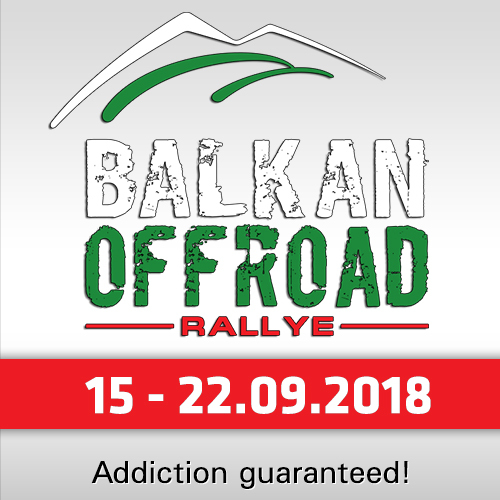 Also the Romanians Barbu / Spiridon with their Nissan Navara (were not permitted to start in Russia due to a failed scrutineering) will try it again. Next to them there are some interesting, well known faces like Peugeot 3008 DKR privateer Sheik Khaled Al Quassimi, Ahmed El Shamy from Egypt with his Desert Warrior 3 or the Dutch-built Fast&Speed Buggy of the Bristish UAE-based Marc Powell and Quinn Evans. Very interesting could be the start of the two Sabertooth / Red Lined Motorsport 2018 Nissan Navara from South Africa, piloted by Variawa / Bodhanya (ARE/ZAF) and Botha / Schutte (South Africa). 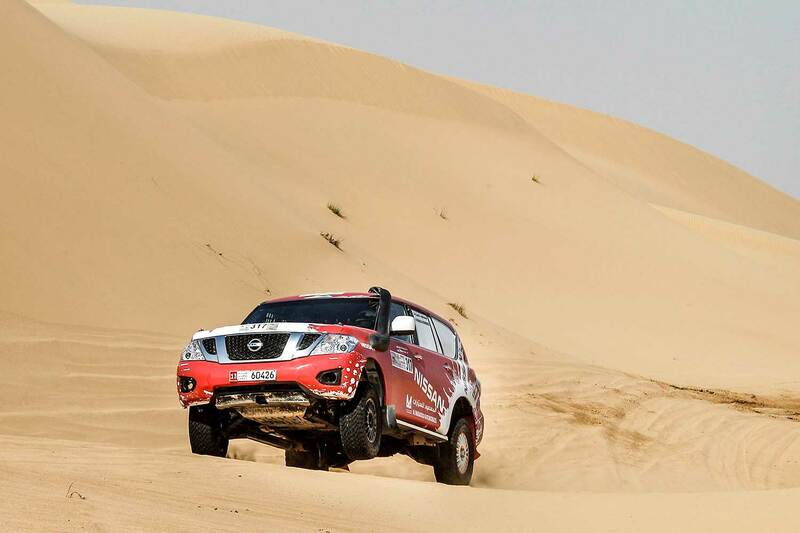 Partnered by Omani co-driver Abdul Haleem, Emirati Abdulla Al Heraiz is among five drivers going into action in a Nissan Patrol, the official car for the rally. Mansour Al Helei, accompanied by fellow Emirati Khalid Al Kendi and one of ten UAE drivers entered, is seeded ninth in a T1 prototype Nissan Navara as he looks to build on his T2 production class triumph in last year's inaugural event. 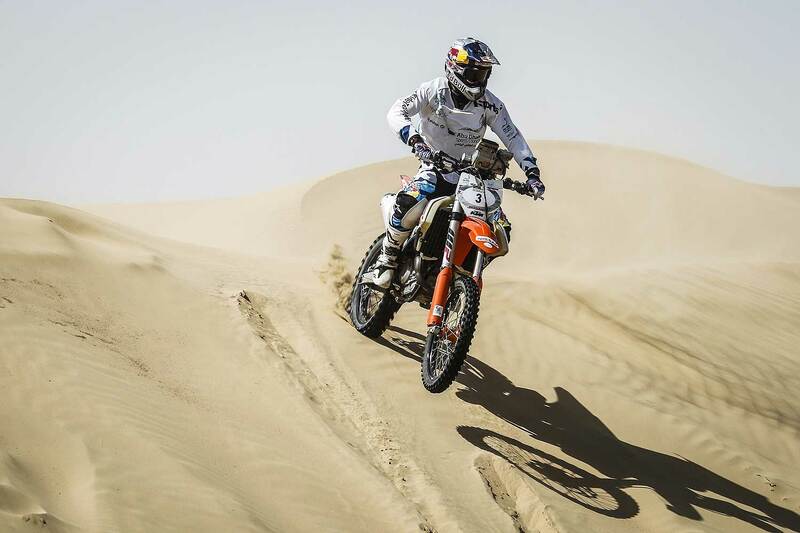 In the bikes, top Emirati rider Al Balooshi, meanwhile, will be seeking a flying start in an event which also forms the opening round of the FIM Bajas World Cup for bikes and quads after finishing third on his KTM last year. With Balooshi spearheading hopes of a bikes victory on home territory for the host country, UAE-based Shannon O'Connor, Abdulla Bin Dakhan, Mohamed Anis and last year's runner-up Frenchman Benjamin Melot, complete the top five seeded drivers. Also aiming for a successful title defence in Dubai is Kuwait's Fahad Al Musallam who won the quads category last year and is back with his Yamaha 700 Raptor. 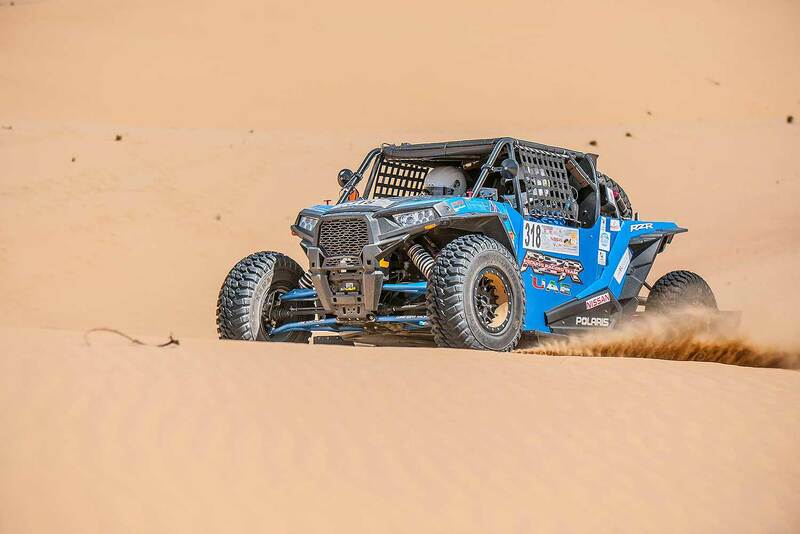 In the SSV / SXS, Dakar-third Claude Fournier from France and his Polish navigator Gospordarczyc will be back with their Polaris - driving solo in a Polaris RZR, Ukrainian Vadym Prytuliak returns to action in Dubai seeking his second successive SSV-title. "We have a top-class entry and look forward to two days of classic cross country rallying over a spectacular route across the dunes and plains of the Al Qudra desert," said Mohammed Ben Sulayem, President of the ATCUAE and Emirates Motor Sport Federation, and FIA Vice President for sport. The second edition of the Dubai International Baja powered by Nisan and AW Rostamani will be based at Dubai Autodrome, with the opening ceremony taking place at the new Rally HQ next Thursday (8th March) at 5pm. 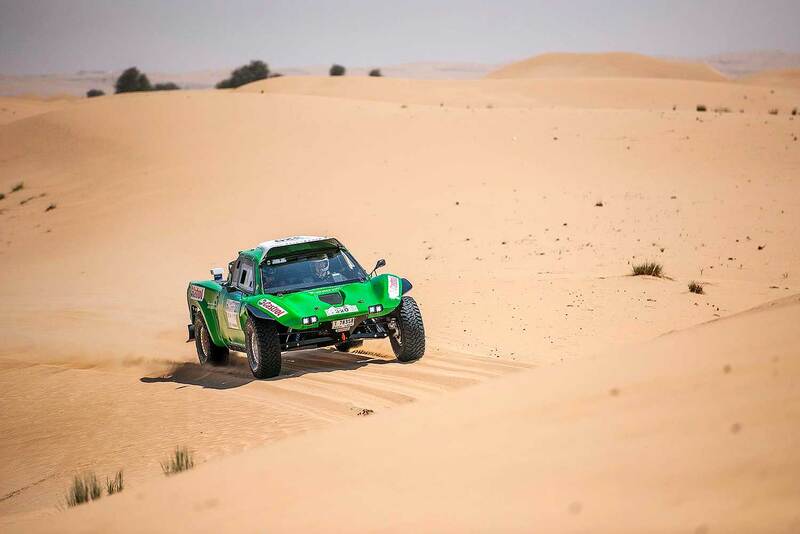 The international assembly of cars, buggies, bikes and quads tackle a demanding 174 km special stage running through the dramatic Al Qudra desert terrain on Friday (March 9) and again the following day, with the event finishing at Dubai Autodrome on Saturday (March 10).